They’re everywhere – in the air, on the pavement, on the robes of worshipers and on the walls of the Great Mosque. 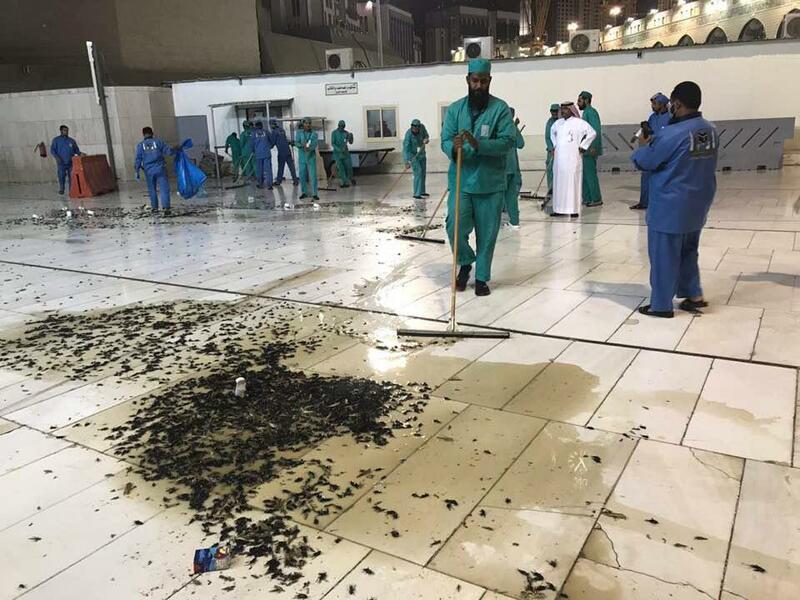 A swarm of locusts has descended on Mecca, prompting a large-scale cleaning operation. Mecca attracts millions of Muslims from across the globe every year, but this time it became a site of completely different pilgrimage. The insects have been plaguing the holy site in Saudi Arabia for a few days now, with social media relaying a detailed account of the havoc they caused.